FOUND YOURSELF WITHOUT A VENUE? Traditional roast beef, baked seasonal vegetables & gravy. Traditional roast pork, baked seasonal vegetables & apple sauce. Christmas Plum Pudding served with fresh cream. Minimum 20 guests. Available November & December. Note: Not available on Christmas Day. Our Captain’s Lounge contains all the features you need to make your next Christmas function one to remember! The Captain’s Lounge is your own private room available for exclusive hire. Features include HD televisions for slideshows and media, microphones for speeches, and the choice to have your own entertainment. Book your function in the Captain's Lounge and receive a complimentary magnum of Champagne. Make the most of Port Macquarie’s great weather by having your Christmas party on the Sunset Deck at Tacking Point Tavern. This function space lets you take full charge and be your own exclusive host. Perks to The Deck include the freedom to customise your own styling and themes, music, furniture, and play your own slideshows through a mobile screen – plus, there’s no cakeage! 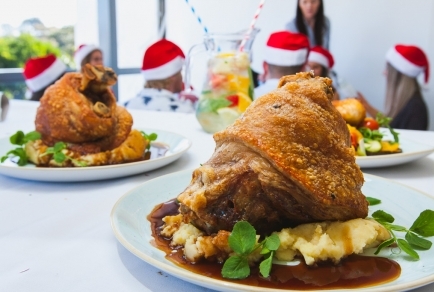 Tacking Point Tavern’s little slice of paradise - this open outdoor function space is the perfect spot to host any size Christmas function, from large-scale cocktail Christmas parties to after work drinks festivities with friends or colleagues. 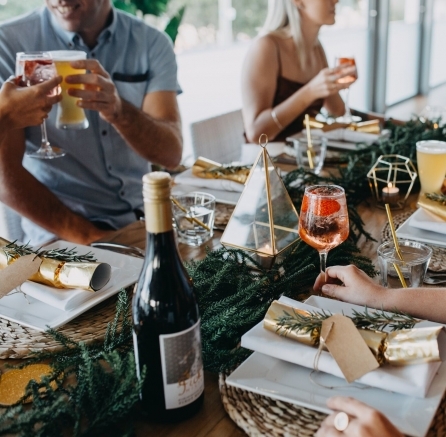 The Beer Garden is not only Port Macquarie’s ultimate place to grab a brew while watching a game, but a great casual function venue for Christmas parties. You also have the choice to play your own media through the big screen. ‘Tis the season for festive Christmas parties! 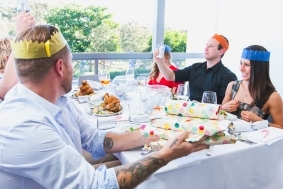 Impress your guests at Port Macquarie’s best Christmas party venue. Whether you are throwing an end of year office party or catching up with the family, Tacking Point Tavern has the space for you. 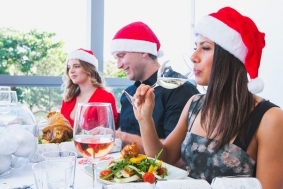 Put on your Christmas hats, crack out the bon bons and get ready to wine and dine at Port Macquarie’s best Christmas party venue. 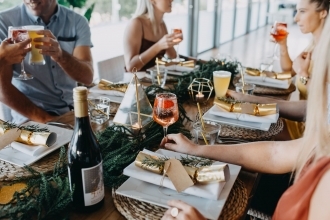 Gather together for an intimate Christmas dinner. Feast on heart warming meals and toast the year that was. Ring in the silly season with a lively cocktail party. Enjoy a range of hot and cold canapés with one of our extensive beverage packages. 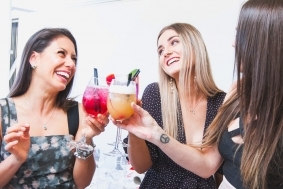 To start planning your function at Port Macquarie's favourite venue, please complete the form below and a member of our team will be in touch.